It’s really really hard to know when you should practice acceptance of reality – and when you should push for change. Acceptance is not wanting, wishing or approving. Instead it is simple acknowledging the facts of the situation, and letting go of judgments and other efforts to change the situation. Here are four questions to ask your self to help you decide. Does It Serve Your Values? Would accepting or pushing to change the situation (and/or your thoughts and feelings about it) be consistent with your values? The values question makes decision making a whole lot easier. Don’t know what to do? Your values are your GPS for decision-making! Of course, that means you need to get clear on what you stand for, related to this area of your life – which can be more than a little challenging. Before taking action (or not taking action) ask yourself this heavy-duty question: What do I want to stand for on this issue? I often hear twenty somethings express the value of ‘leading by example’ or ‘wanting to be an inspiration to others.’ Lovely! Then your objective would be to engage in behaviors to reflect these leadership qualities (e.g. getting required training/education, working/having a job, taking brave actions, maintaining your commitments, etc. ), while accepting the discomfort that comes up inside your skin. So the big question is, ‘Does your choice of acceptance versus change function to move you towards the above noted values?’ Or does it help you feel better (less anxiety, anger or frustration, sadness, etc. ), more comfortable, while keeping you firmly rooted in the same stuck position? These kinds of choice points between acceptance and change are happening every minute, of every day: just beneath the level of your awareness. So, what you want to start noticing is if your behavior (what you do with your hands, feet, and voice) is consistent with your values, or a reaction to an automatic interpretation or feeling trigged by the situation? So let’s continue following the above noted value of ‘leading by example.’ What happens when life offers you a choice point moment? Maybe its Summer time and your mind tells you, “Hey, I should get to chill!” and your parents are footing the bill. Does chilling away the Summer reflect a values choice or an emotion driven decision? Does Your Choice Add To Your Psychological Flexibility? Psychological flexibility – the ability to toggle between going with the flow and pushing for change – is the master skill we’re working towards. If we know one thing pretty clearly from the psychological sciences, it’s this: Your mental health and well-being is enormously dependent on your ability to flexibly adapt to the demands of the context. Whenever we choose an action, or succumb to the reaction, that moves us towards immediate gratification, but away from values – we are adding a layer to our natural human tendency to get ridged. So we need to intentionally practice building the skill of psychological flexibility. To build this skill, like any skill, requires practice; in your day to day life, as well as with intentional moments set aside to get better at being flexible, adaptive, and resilient. I’ve developed the Dashboard form to help you start taking inventory of where your patterns of psychological in-flexibility may be showing up. Where’s Your Personality Comfort Zone? The last thing to consider is your personality. Do you think of yourself as a more emotionally expressive and sensitive person? Or do you tend to hunker down, forge ahead, and maybe even shut down your emotions? Your end of this personality spectrum can inform if you need more acceptance or change skills in your repertoire. If you relate to being a more sensitive, creative type, who thrives on connection with others, you might need more change in your life. That is, skills and practices that help you to self regulate so you can maintain your values commitment, while not getting over whelmed by your emotions. Here’s a simple practice to build your ability to mindfully anchor in the present moment. 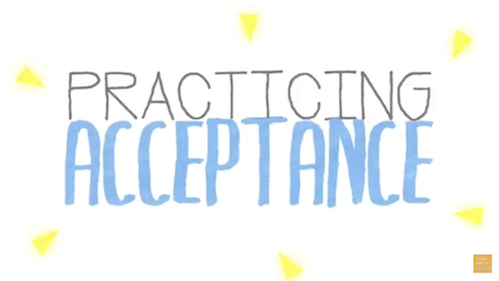 If you relate more to being a go-getter, stoic, and driven (at least most of the time), then you might need more practices to build your acceptance skills. On this end of the spectrum, you can start loosing contact with the important messages emotions have for you about your needs, and loose sight of the needs of others. This skill will help you build up your connection and self-compassion with the more vulnerable parts of yourself. Let’s Practice. Connect with Self-Awareness. Before you click away, take 60 seconds to write down a brief answer to each of these questions. We all have the impression that we know ourselves really well. After all, who knows us better? And, if you value personal growth and learning, which I’m guessing you do as here you are at the end of this blog – then give this gift to yourself. It may be the pebble in the water of the change you’re seeking! I hope you find this blog helpful! If you have any questions, do shoot me a message in the comments section. We’re all in this thing called Mastering-Adulthood together. So, let me know if you have any questions about how to be skillful with your emotions and building a life you love! 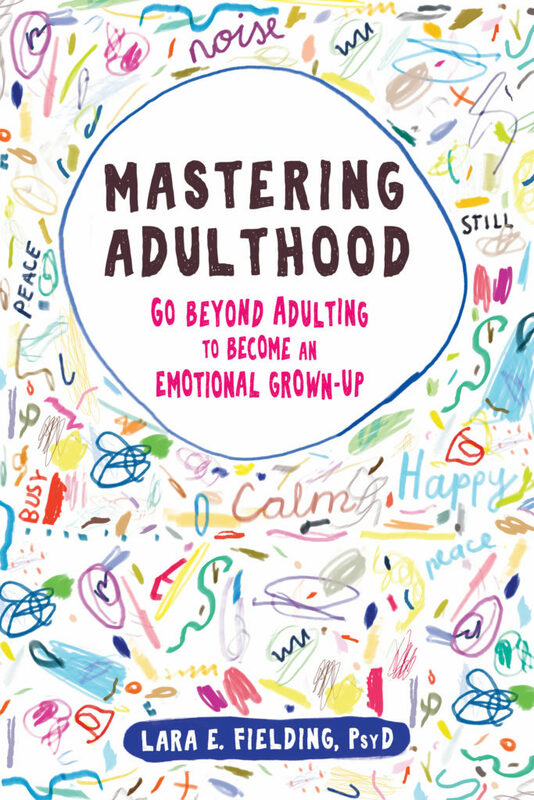 This blog was inspired by Dr. Fielding’s upcoming book: Mastering Adulthood: Go Beyond Adulting to Become an Emotional Grown-Up. To learn more helpful skills for Mastering Adulthood, sign up for the Mindful-Mastery SKILL WEEKLY newsletter, or follow me on Facebook, Twitter, or Instagram. Or YouTube for skills videos!